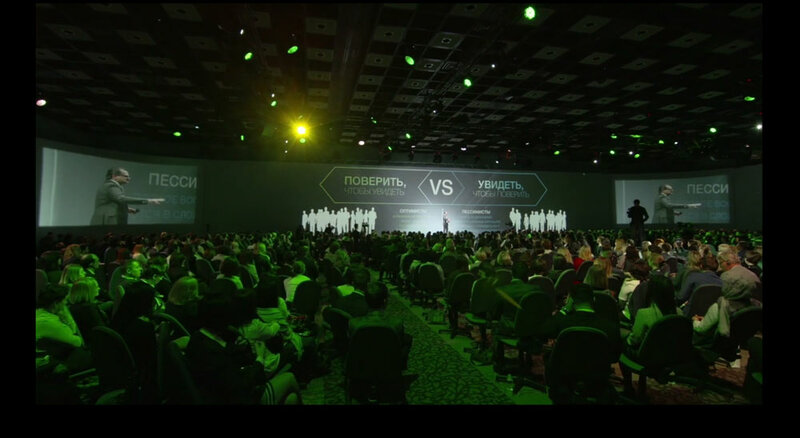 To create a hi-tech interactive business presentation in a panoramic format - "360 Conference", to provide comfortable conditions for the show audience. 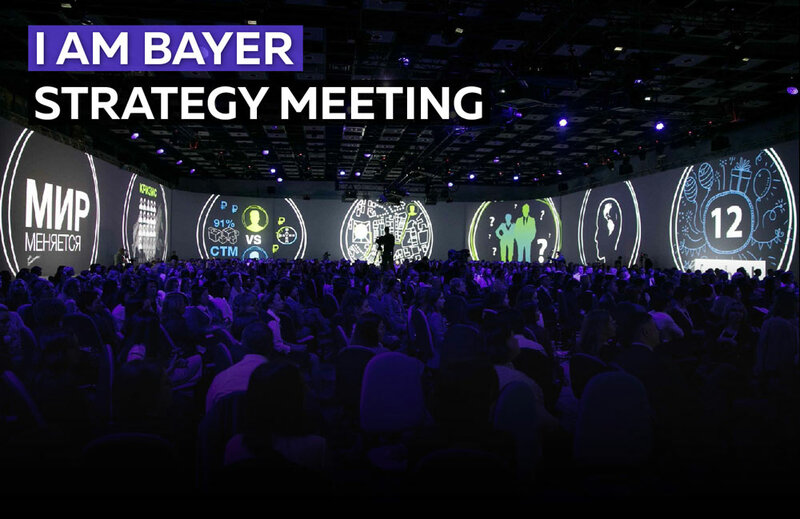 A technology-packed space was created specifically for this strategy meeting providing comfortable conditions for holding a meeting in the 360 format. 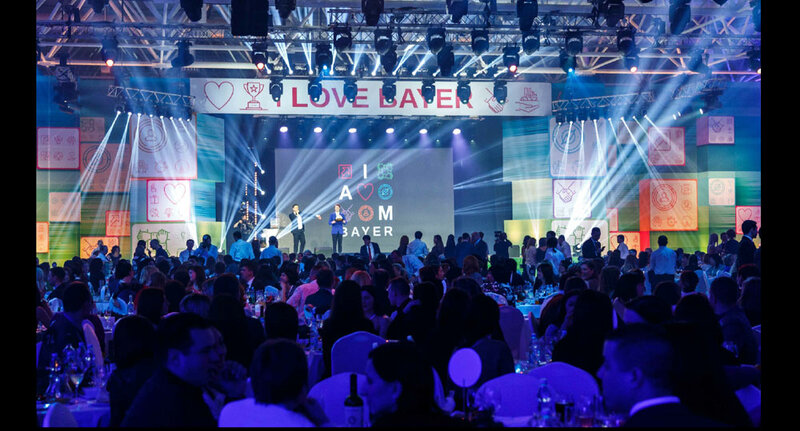 The total area of the screens located along the perimeter of the conference room exceeded 650 square meters, 900 rotating guest chairs were located inside, the presentation included more than 60 minutes of panoramic content. Each presentation was showed to the audience in a 360 format. During the speeches, the speakers moved around the conference room and the audience sitting on swivel chairs could comfortably watch everything that was happening. 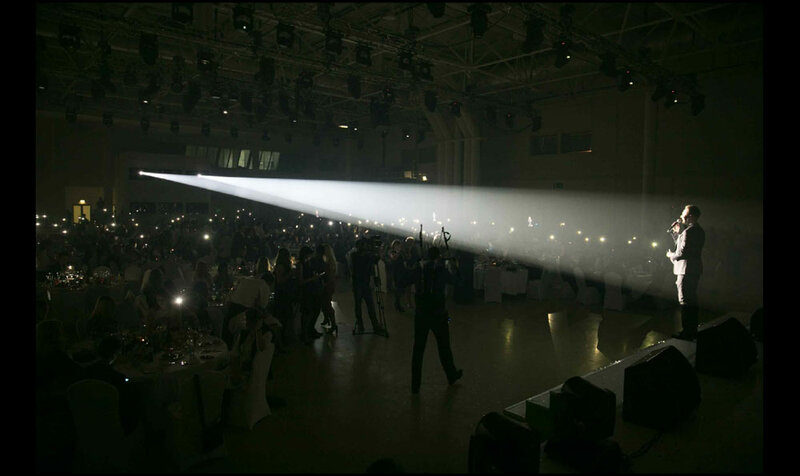 900 guests from 11 countries watched and participated in this unique innovative show.